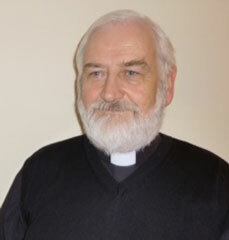 Father Ian has served as the parish priest of Our Lady Immaculate and St Philip Neri in Uckfield and St John the Evangelist in Heron's Ghyll since the end of 2016. Before coming here, Father Ian was at the Church of the English Martyrs in Horley. He enjoys coming into school to answer 'Big Questions' with the children. Hello, I am Deacon David. I assist Father Ian in the parishes of Our Lady Immaculate and St Philip Neri in Uckfield and St John the Evangelist in Heron's Ghyll. I am also a chaplain to front-line emergency staff of the South East Coast Ambulance Service. 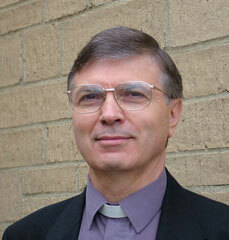 I have been a deacon for a little over ten years, and have been in Uckfield for seven years. I am Deacon Ken and married to Jenny. We have three children and four grandchildren. We lived in Essex until we moved to the West Country in 1996 and we moved to Uckfield in October 2014 to be nearer our younger daughter and younger granddaughter. I was ordained a deacon for Clifton Diocese in July 2004. I ministered for ten years in a parish with three churches - one in each of the three small towns – it was largely a rural parish. Jenny and I are very grateful for the warm reception we received from the people in Uckfield and Heron’s Ghyll. I look forward to assisting Fr Ian and Deacon David in serving in the two parishes and working with the staff, pupils and parents at St Philip’s school. Click here to see a map of the Uckfield Parish.